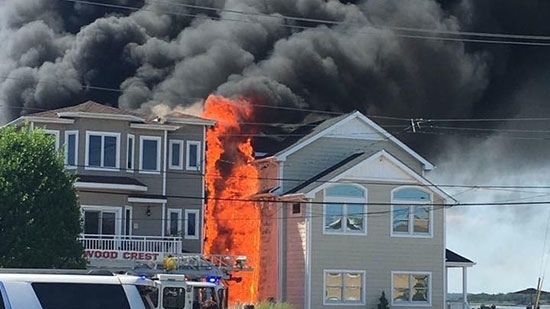 Fire crews down the shore battled heavy flames and smoke at a blaze that consumed multiple homes in Wildwood Crest, Cape May County on Sunday afternoon. The plume of thick black smoke could be seen by beachgoers up and down the coast for miles. Crews were called to the three-alarm fire just after 3 p.m. along the 7100 block of Park Boulevard and West Primrose Road near Sunset Lake. Two houses were engulfed in flames and are total losses. A third home suffered heavy damage. Luckily, no one was injured. The cause of the fire is under investigation. The body of an unknown man washed ashore in North Wildwood on Sunday night and authorities are hoping the public may help identify him. Police discovered the man between 24th and 25th Avenues around 9 p.m. He is described as having a medium/dark complexion, possibly Hispanic, early 20's, with a 1-inch scar on his left shoulder. He was 5' 6" - 5' 8" and between 160-180 lbs. 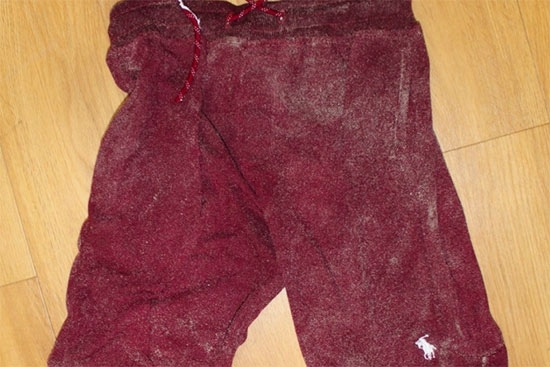 The man was wearing maroon Polo cotton shorts with a drawstring (photo below). There were no visible signs of trauma. Anyone with information is asked to call the North Wildwood Police Department at 609-522-2411. Philadelphia police have identified the woman who was found stabbed to death behind Dobbins Technical High School in Strawberry Mansion over the weekend. 33-year-old Debra Gulliver of the 2500 block of North 25th Street was discovered by a passerby around 3:20 a.m. on Saturday morning in the park behind the school. She was stabbed over a dozen times in her legs, torso, and chest. The passerby called police after they were robbed by two unknown males in the park just before discovering the body. Police do not have a description of the suspect and have not made any arrests at this point. Philadelphia 76ers center Joel Embiid and forward Dario Saric were both named to the NBA All-Rookie First Team on Monday. Those two along with Milwaukee Bucks guard Malcolm Brogdon are finalists for Rookie of the Year. Sacramento Kings guard Buddy Hield and New York Knicks center Willy Hernangomez complete the All-Rookie team. Rookie of the Year will be awarded Monday night during the NBA Awards 9 pm on TNT.